This post contains affiliate links for books I’m confident to recommend. Read my full disclosure policy. Writing that’s too wordy, disorganized, or lacking in description can definitely cause a reader to feel overwhelmed. In order to capture—and keep—their readers’ attention, students need to work on content, style, and mechanics. These tips for teenage writers will help your student improve in each of these areas. Vivid description is one of the most useful tools a writer can use to hook and hold readers. Appealing to the five senses, descriptive writing paints word pictures using concrete, specific vocabulary. Words, like paint, can be as subtle as watercolor or as rich and vivid as oils. Choosing the right words—and in the right amounts—entices readers and invites them to linger. Writers sometimes use repetition on purpose, such as for dramatic effect. However, if a student tends to repeat words because he’s careless, lazy, or unable to think of synonyms, his writing will sound monotonous. A good thesaurus [affiliate link] is one of the best tools a student can use to replace repeated words. 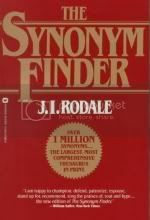 I like The Synonym Finder [affiliate], but if your kids prefer an online thesaurus, try Thesaurus.com. When they type in the word they want to replace, a bunch of options will come up. Word differences can be subtle, so when choosing a synonym, students should look it up in the dictionary if they don’t know what the new word means. For example, suppose your teen has repeated the word anger several times within a paragraph or two. If the character’s anger is mild, and he simply feels bugged about something, the writer should be able to replace anger with annoyance or irritation. On the other hand, rage—a violent, out-of-control anger—would not be an appropriate substitute in this case, even though the thesaurus lists it as a synonym. Do you notice a lot of rabbit trails in your teens’ writing? Is it hard for them to stick to the point? When their writing rambles, they run the risk of losing their readers. If their thoughts are jumbled, their writing will be jumbled too. To avoid rambling, writers must know what they want to say—and have a plan to get them there. Graphic organizers, outlines, brainstorming worksheets, or mindmaps can help sort and organize ideas before beginning to write. Does your student cram too many details into her writing? While description can add depth and richness to writing, too much detail can weigh down a story. Imagine yourself running barefoot through the park. The air is crisp and fresh, and you long to feel invigorated. The problem is that you keep stepping in sticky mud, which slows your progress and keeps you from enjoying the run. If your teen’s writing contains too many details, or she tends to be heavy-handed with her description, her readers will feel as though they keep getting stuck in the mud. She can pick up the pace by offloading unnecessary details. How does an author find the balance between writing in a concrete, sensory, descriptive manner and writing in an imposing, pretentious way? While it’s important to try out new words, have fun with the thesaurus, and use vivid language as she writes, it’s just as crucial that your child use new vocabulary with care and humility. A wise writer chooses her words carefully. Her writing is concise yet descriptive. When she uses too many new or strange words, her writing begins to sound pretentious or even arrogant. Help her find a good balance between stuffy vocabulary and overly simplistic word choices. Invite her to write smaller words and shorter sentences if she leans toward verbosity. Is there one area that poses the greatest writing challenge for you or your student? Which tips for teenage writers will you apply first? Need more help? WriteShop II teaches these skills (and more) to help teens become stronger writers. To learn more about WriteShop II for your high schooler, visit our website at www.writeshop.com. Photos: www.audio-luci-store.it (student writer), and Richard Vermillion (muddy foot), courtesy of Creative Commons. Used by permission. These tips are fabulous! I’m going to use this list for my creative writing class of high schoolers. I recently read the opening sentence of a youth fiction and was swept away to the time and place immediately. It was written in the first person, not my normal preference, but it really works for this author. 1. There is a knight on some type of boat. 7. He is pondering something important. This author knows how to use descriptive words and I want to write like him! (Homeschool author is a Dad I met at a convention, the book is Kingdom’s Dawn, Multnomah Books.) Can’t wait to read it to the kids! Makes me want to read it, too, Felice! Sounds like a book my grandsons would surely enjoy. Thanks for sharing. I’ll have to look for it!